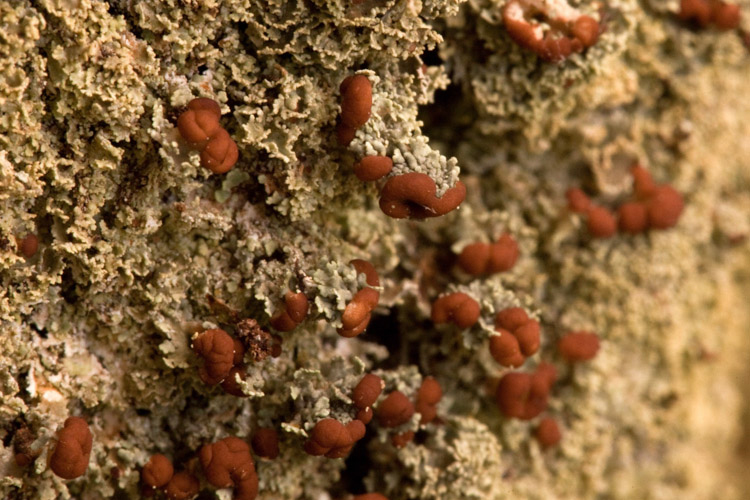 DIAGNOSTIC FEATURES: Very short, very narrow squamules; appearing to be without apothecia (a handlens is needed to be sure); apothecia brown, commonly sessile; P+ red; compare with C. apodocarpa with blue-gray squamules, strap-shaped, K+ yellow. When sterile, the very small massed squamules in the form of a mound, and P+ red, are a good indication of C. caespiticia. 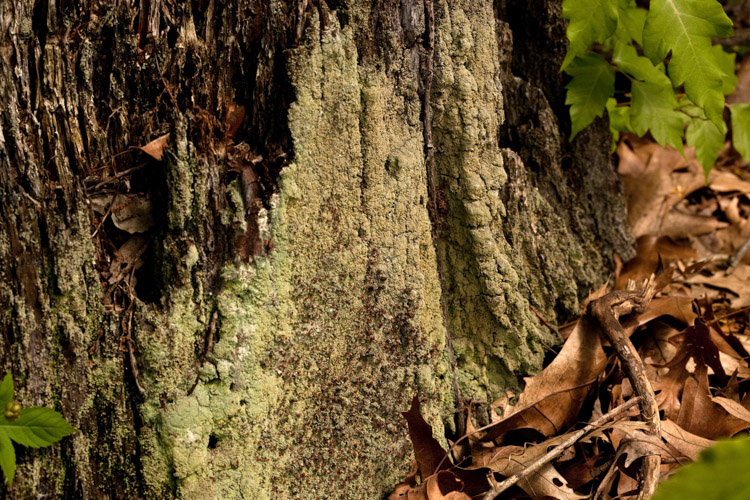 ECOLOGY: An eastern US spcies; widespread in Ohio, showing an eastern and southern Appalachian distribution; common on bark, rotting logs, soil and moss.